Right guys today’s blog post is a first look into the autumn winter trends I’m feeling. 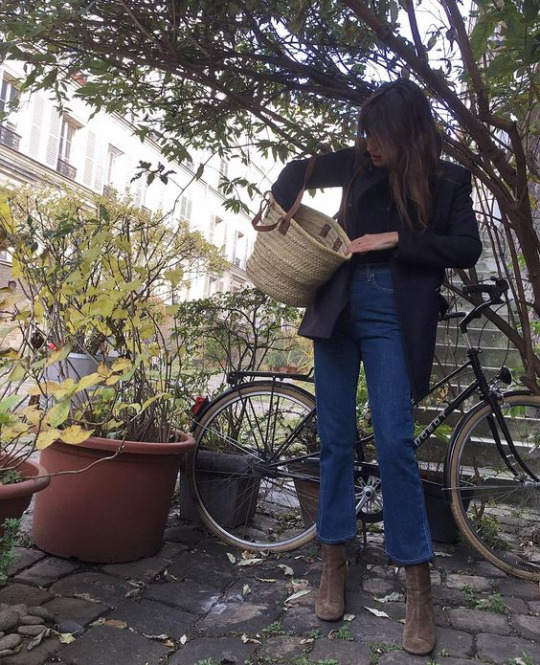 Like most of us, I get creative block on what to wear moving from one season to the next. Plus here in Manchester the weather has been pretty crazy, lots of rain and the temperature has dropped by nearly 20 degrees! That mixed in with the fact I have had a cold in summer, I began shopping for warmer pieces for the next season. So while I was online window shopping, I thought why not put together a blog post so you guys can see my thought process and what pieces I have on my list for this weird transitional period. Now I know this isn’t ground breaking and it isn’t top of the trends for autumn winter 2018, but it is a piece that if you invest in can stand the test of time. In the past I have purchased cheaper versions of a chunky cardigan but the hand feel of the acrylic wool hasn’t always been the best. So this year I am on the hunt for a chunky wool cardigan that is thick enough I can just throw on over a dress and not need a jacket over the top. It is a challenge but this year I really do want to invest in a wool garment that I know will last for years to come. Of course I have found a couple of really cute versions here, I love the look of the & Other stories one. Just wish it was longer. After that the Helmut Lang one is beautifully simple and looks super soft. I bloody love jeans and you guys know that! But this summer has been hot so I haven’t worn them that much and the ones I have occasionally worn have been a light wash. So going forward into the next season I’m looking for indigo blues. I have in the past made a be line for Topshop but I’m not loving their collection at the moment. Instead I’ve been looking at shops like Weekday, & Other Stories and my new favourite shop for denim Whistles. 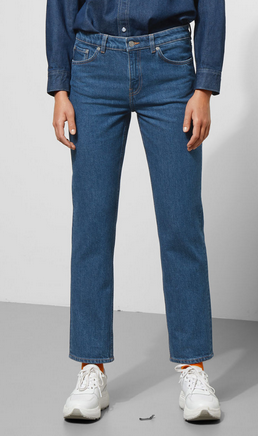 The whistles jeans I love are the non-stretch barrel jeans as they fit like a glove plus they are such great quality. The weather this week has been horrendous in Manchester, with showers happening every hour meaning I’ve put away my sandals and I’m opting for boots. While I do have a solid collection of boots I can wear season after season, I realise I am too heavy with suede boots, which are not ideal in wet weather. 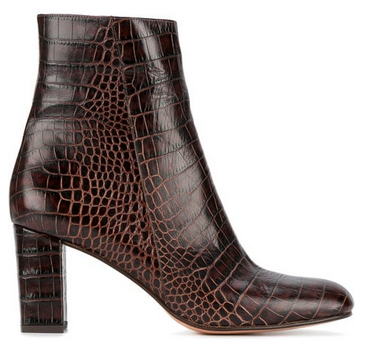 Which means my next purchase will be a pair of mid-heel leather boots. I’ve put together some great winter weather boots here but the one I love the most is the Topshop Muriel patent Black leather boot. They are the perfect heel height for day or evening and will see me through the winter months. 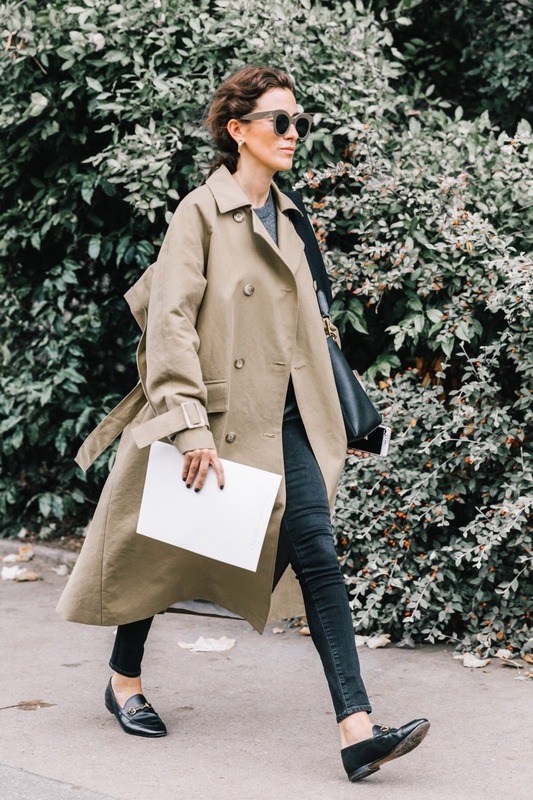 Now the trench coat was massive on the catwalk, it’s not something new and sometimes can be quite a boring purchase but I’ve found some interesting styles here. As this isn’t high on my list of things I’m wanting for the next season, I’m going to leave this one up to you. Which one would choose or is there another style of jacket that’s a more appropriate pieces to invest in. Let me know below.